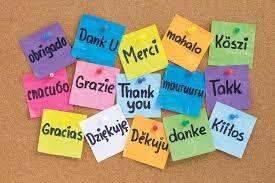 My first trip to Europe made me realize the power of bilingualism, specifically the power of bilingual education. In the European Union there are 24 official languages, and the European Commission has declared a long-term objective to “increase individual multilingualism until every citizen has practical skills in at least two languages in addition to his or her mother tongue.” It is clear from my recent visit that the majority of European citizens are bilingual, learning their second language in school starting at a very young age. And it is not enough to say that Europeans are just bilingual – speaking English in addition to a native language seems to be a given, with additional languages taught alongside English. The story of the United States is very different from that of the EU. 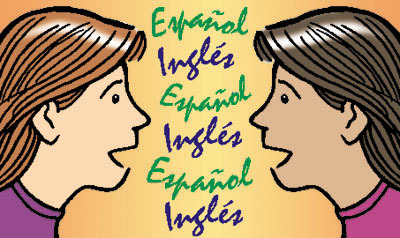 The United States federal government has a long history of eradicating bilingual programs in the hopes of “acculturating” or “saving” certain diverse populations. In the mid-19th century, the US Bureau of Indian Affairs established “a series of English-only boarding schools” in attempt to stamp out native Indian languages. In the beginning of the 20th century, anti-German hysteria caused systematic closings of German language schools. Up until the mid-20th century, Mexican-American students in Texas were segregated from white students in schools. And these trends are continuing. Latino students in Hempstead, Texas were recently told that they would be punished for speaking Spanish in class, and that Spanish would be permanently banned at school. In 1998, Californians voted to pass a measure called Proposition 227 that placed restrictions on bilingual education. The state government was convinced that “California’s language diversity…was a problem to be eradicated, rather than a resource to be developed.” This is a huge issue in California especially where the Latino population is expected to surpass the white population as the single largest ethnic group in the state. This debate continues on in many states. In New Mexico, House Majority Leader Rick Miera sponsored the “State Seal for Bilingual and Bilterate Graduates” act which “certifies that the recipient is proficient for meaningful use in college, career or to meet local community language need in a world language other than English.” New Mexico continues to fight for the rights of multilingual citizens, and is seen as a leader in multilingual education. I’m not sure which is worse: taking away the ability for students to speak their native language in schools or not providing all students with a bilingual education from the start. As this debate continues throughout the world, I can only hope that the United States begins to see value in bilingual education, and works to make changes to the education system in order to accommodate these powerful globalizing forces. Good reflection with your trip!